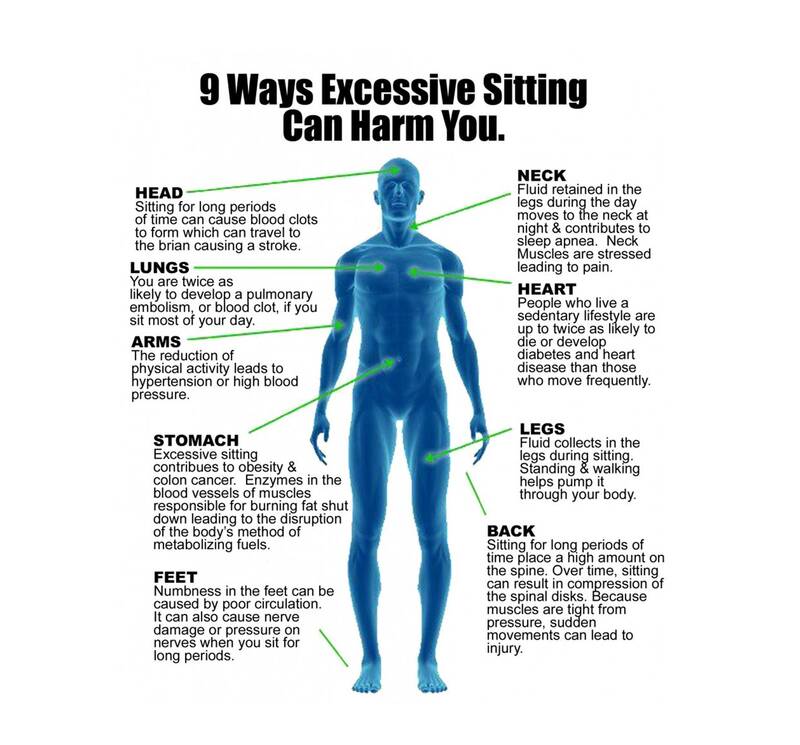 Workplaceinsight.net graphic on the health hazards of sitting. There has been a lot of research recently on the health hazards of sitting all day at work. For example, a 2011 Center for Disease Control study found that when workers were provided with sit-stand desks, the rate of sitting was reduced and mood was improved. Studies in 2010 and 2009 have found that adults who sat for their leisure time had an increased risk of disease and a shorter average lifespan (2010 study), while the 2009 study found that metabolic health is compromised even for adults who met the physical activity guidelines. The research is so convincing that in 2013 the American Medical Association adopted a policy that recognizes the hazards of sitting and encourages alternatives to sitting for workers, such as sit-stand desks. For more research and the original reports, click here.